Ananda Temple at Old Bagan - Myanmar (Burma) It is a Buddhist temple built in 1105 AD during the reign (1084â€“1113) of King Kyanzittha of the Pagan Dynasty. 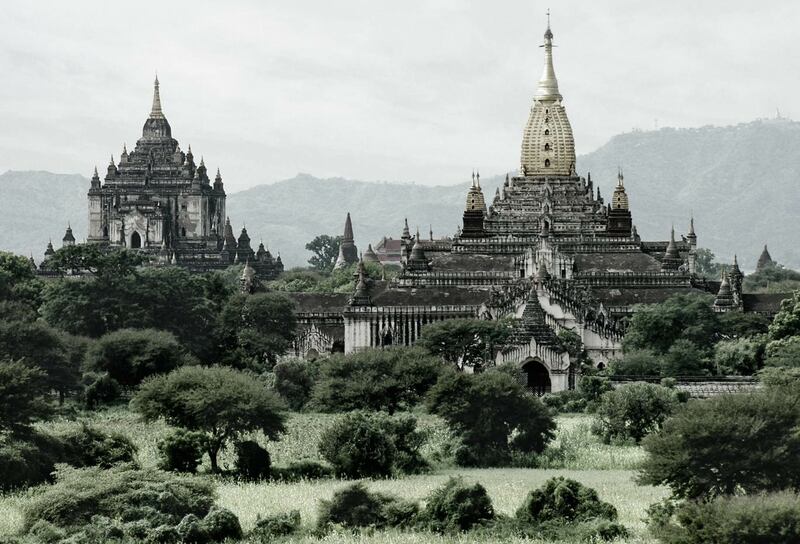 The temple layout is in a cruciform with several terraces leading to a small pagoda at the top covered by an umbrella known as hti, which is the name of the top ornament found in almost all pagodas in Myanmar. The Buddhist temple houses four standing Buddhas, each one facing the cardinal direction of East, North, West and South.